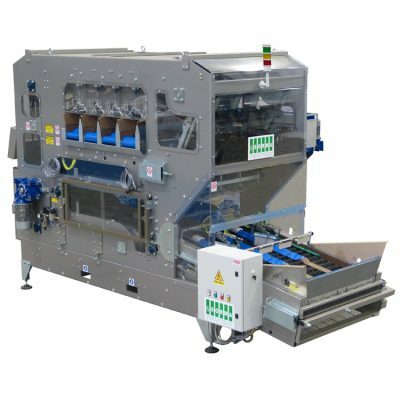 High productivity machine to work with several packaging machines at the same time, each one also with several weights. 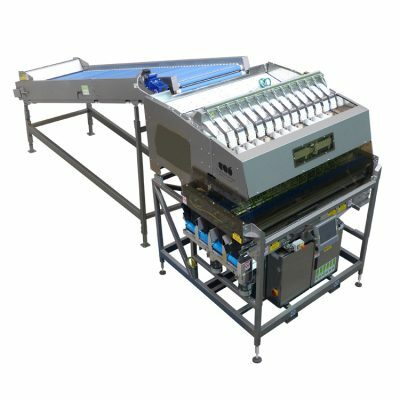 Without recirculating belt conveyor, the products exceeding the weight tolerance setting lay on the cups to be used again. 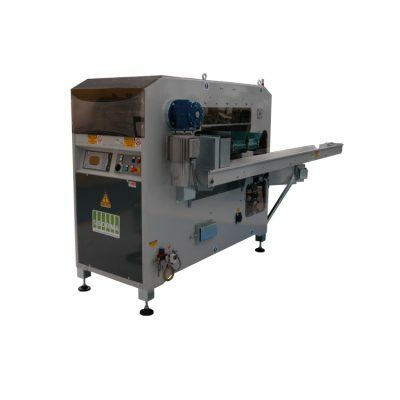 The G09-126 is a weighing machine for non-delicate fruit and vegetable products such as: potatoes, onions, citrus fruits. 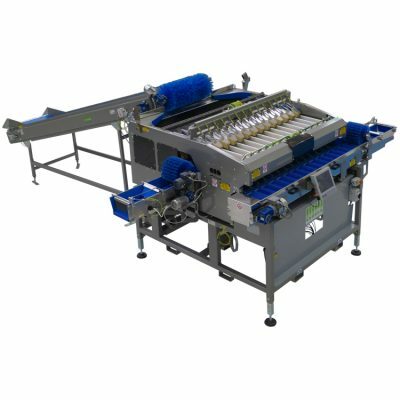 It can be used individually or as part of an operating line (with packaging machines, feed belts, etc.). 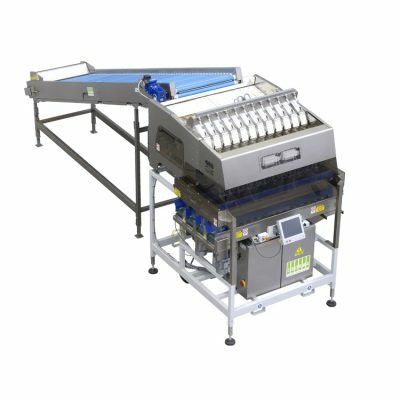 The CP814ML is an weighing machine for delicate fruit such as apples. 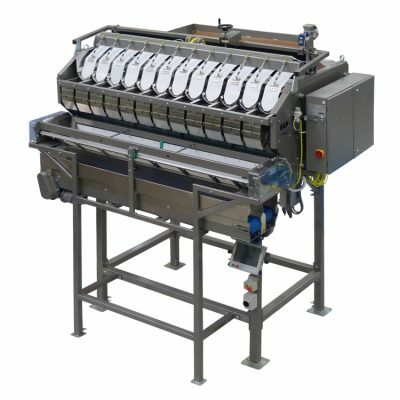 It can be used individually or as part of an operating line (with packaging machines, feed belts, etc.). 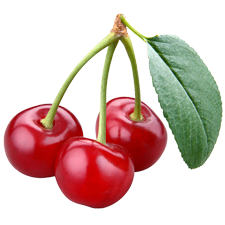 Suitable for cherry tomatoes, cherries, plums, apricots, peaches, nectarines and kiwi. 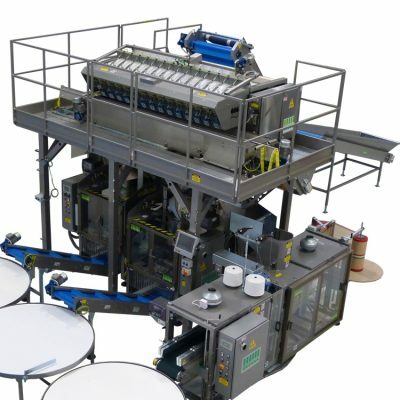 The machine can, equipped with an optional kit, work in AVERAGE WEIGHT mode. 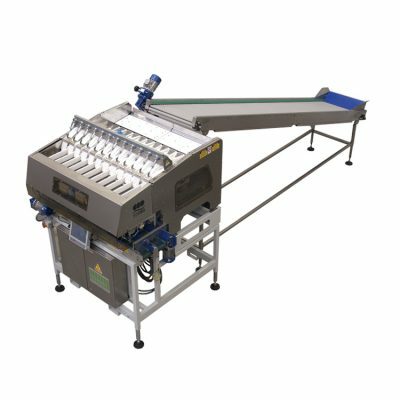 The G12-126 is a weighing machine for non-delicate fruit and vegetable products such as: potatoes, onions, citrus fruits. 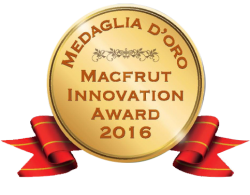 Package weight: from 0,5 kg to 25 kg. 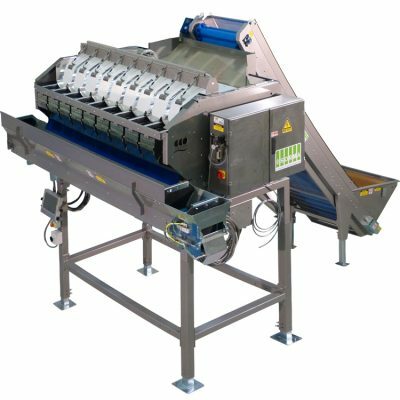 It consists of an AISI 304 stainless steel main frame and of an AISI 304 stainless steel or painted iron frame. 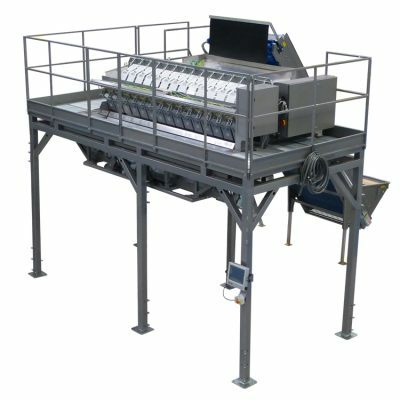 Infeed system consisting of 14 independent vibrating channels, 14 load cells included within the 14 hoppers for containing fruit and vegetables with overload protection. 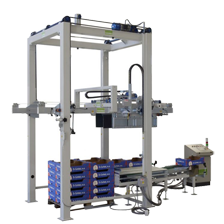 Automatic weighing machine which also can work with two different packing machines, each with different weights, at the same time.